Have you been a casual, intermittent, or recreational bowler for a while now? Whatever the case might be, there is help out there for you–and it starts right here! I’ve been an avid bowler for over thirty years; and offering bowling tips for beginners gives me the greatest coaching satisfaction. Whether the beginner is a little child who’s taking to the lanes for the very first time, or an adult who bowled once or twice a year for 20 years and wants to enhance, folks who really need to learn can improve right before your eyes, especially those at the beginner level. I have a few simple tips which might drastically change their game. I recall when I was at that stage of the game, many moons ago… I was a fairly athletic kid and got discouraged quickly if I couldn’t catch on to a game fast. If I didn’t feel as though I was getting better immediately, I was inclined to pack it up and proceed to the next thing. Fortunately for me, when I joined my first bowling league at age 13 there was lots of help available. Every Saturday morning my friends and I would carpool to the bowling all with one of our parents (THANKS PARENTS). The league for 13-18 year olds began at 8:30 am. Kinda painful to us after going to school all week, but we actually had a good time. 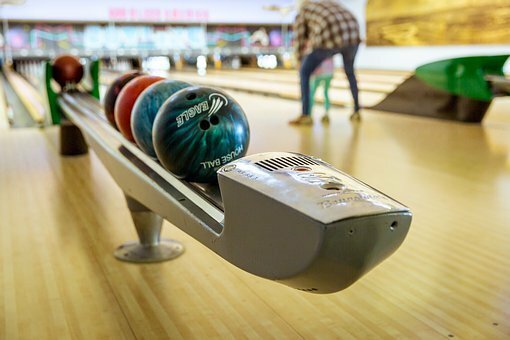 After we settled in on our pair of lanes and started bowling, the coaches would start making their way up and down the bowling center, helping everybody that appeared to need it along the way. I remember one particular coach, not by title but since he was the oldest, and was a retired police officer. He did not have any children of his own in that league but he bowled in the Seniors league after us would get up early to help all of us. What a terrific guy, and fantastic coach! The tips that I am going to share with you are the first ones that I remember him giving me. Use the correct weight ball to your size. Choose the heaviest ball you are able to throw without endangering your ability to have a full, relaxed arm swing, fantastic speed, rather than cause you to lose balance or drop the ball . A good rule of thumb to follow is to roll 1 pound of ball per 10 pounds of body weight, then add or subtract 1 pound. By way of example, if you weigh 120 pounds start with a 12 pound ball. It may seem to heavy at first, but as long as you get a full, relaxed arm swing, good speed, and it doesn’t cause you to lose balance or drop the ball early stick with it. If not, go up or down in weight so. When you stand on the strategy prepared to begin your shot, as you examine the lane you will observe many different markings. About 15 feet down the lane there are a set of arrows that point toward the pins. Many bowlers look at these arrows as opposed to the pins when planning. Why? Simply stated, it is easier to hit a target that’s closer to you. Thus, begin bowling and watch your ball roll over the arrows, ensuring you’re standing in precisely the identical position to begin every time–use the dots on the front part of the lane to position your toes. Make a mental note of where the ball crossed the arrows once you hit the head pin. This will be your”mark”. Beginners should practice this method with the first ball of each frame , it gets a bit more technical when trying to get spares. No one gets a strike every time. If you put that kind of pressure on yourself you won’t have any fun. I thought that was the idea behind playing games-have some fun! Focusing on technique can help you to improve. Once you build the mark mentioned in tip #2, make sure that you actually watch your ball roll over it every time. If you hit it and the end result is consistently different, consider developing another mark. Strikes will come, work on your technique and find those spares; you might find that a few strikes will sneak in there after a while.